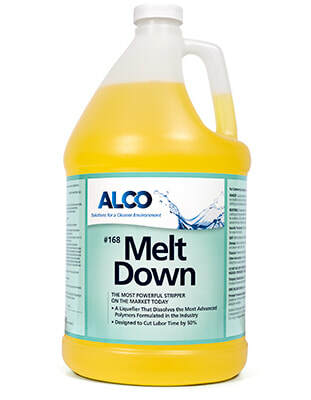 Alco Melt Down - Alco-Chem, Inc.
Our most powerful stripper. Quickly removes heavy buildups and high speed burnished coatings. Easily removes stubborn acrylic sealers. Quite simply the fastest most thorough stripper on the market today.